Bamboo furniture board (panel,plywood) is an environment-Friendly alternatives to timber as a construction material have been promoted to reduce dependence on hardwoods. With its physical characteristics and ability to self generate rapidly, bamboo is one of the best means to replace hardwoods while providing similar properties and attractiveness. It was widly used for furniture,decoration,toy,kitchen ware,constrction,etc. Bamboo Furniture Board is made from 100 percent rapidly renewable bamboo, using adhesives that are both strong and emissions free. 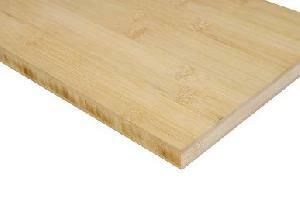 Bamboo Furniture Board can be cut and sanded using conventional woodworking equipment. It can also be glued or mechanically fastened using the same materials and fasteners commonly used with wood. Bamboo is a low resin, open grained material that takes stains and finishes exceptionally well.